England opener Joe Denly believes the chance to potentially seal a spot in the Ashes squad to face Australia later this year is the ideal motivation ahead of the third test against the West Indies starting on Saturday. The 32-year-old replaced the misfiring Keaton Jennings at the top of the order for the second test at Antigua and made scores of six and 17 on debut in England’s 10-wicket defeat as the tourists went 2-0 down in the three-match series. The Kent batsman looks likely to get another opportunity when the teams face off at St Lucia in the third test and Denly is treating the match as his Ashes audition. “Playing in an Ashes series is an absolute dream and I’d be lying if I said I wasn’t thinking about it a little bit,” Denly told reporters. “Obviously with the opportunity I have in the next test it is there, but it is important to try and not think about it as much as possible. England have long struggled to find a strong opening pair and the problem has worsened after the experienced Alastair Cook retired last year, leaving them searching for solutions ahead of the Ashes series which gets underway at Edgbaston on Aug. 1. 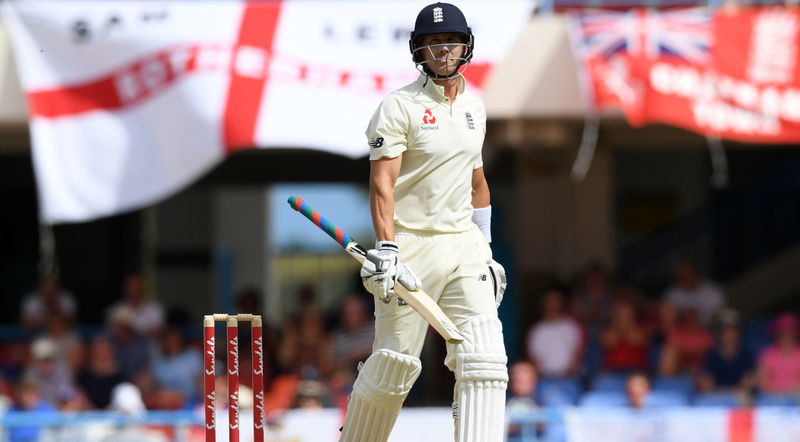 Rory Burns has showed some promise in the five tests he has played so far, scoring two half-centuries including 84 against West Indies in the first test. With England dropping Jennings, who averages 25.86 in tests, short-form specialist Jason Roy could also come into consideration but Denly is hoping to stake his claim. “I hope they see a future in me opening in test cricket,” Denly said.